Daybreaktots website that we are scoping will serves as service offering website where customers can search for child daycare service providers which can help them for in-home child daycare services. The daycare providers can create their profiles and manage availability for the service by specifying if they are part time or full time available for that service & for specific age group. 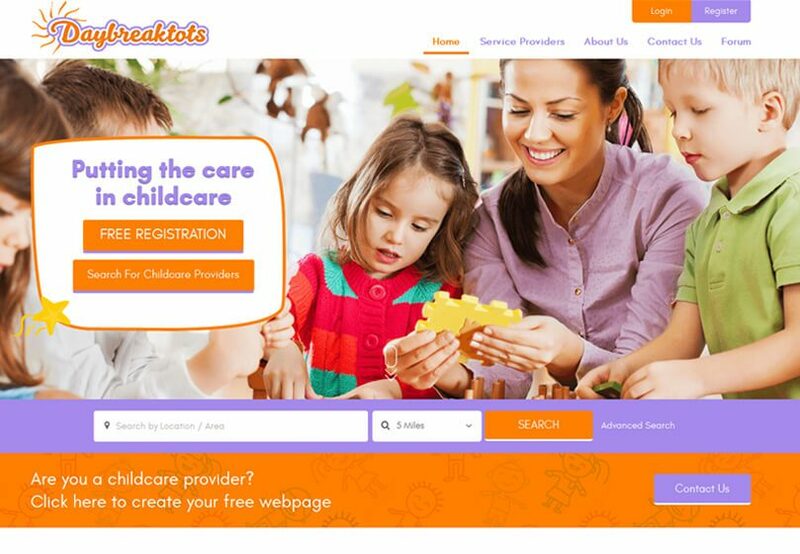 Customers can search for daycare providers using location / area, availability, hours, ages of children accepted and can view list of available day care providers i.e. only those providers will be displayed in the list who are available for that selected service category & age group. Customers can then select any one to view provider's profile and can send then booking request through site. Daybreaktots chooses LogicSpice for its extensively dextrous who are exhaustive in the art of creating a responsive websites. With the latest tools in the world of web development , we ensure that clients receive the best product from us, distinct of the size and based on the scope of project. The motto of the proposed web development solution is that users can register as service provider or service seeker and can post their services & specifying their experience & expertise. Users can search for the service provider as per there requirement. They can view profile of selected service provider. They can connected to the service provider. After connecting they get services from the selected provider and later would rate the providers.